Not too sure about this one.... it was my first attempt using the Level 2 Hostess set Apple Blossoms. It was a nice and quick card to make because I used a Clean and Simple sketch. 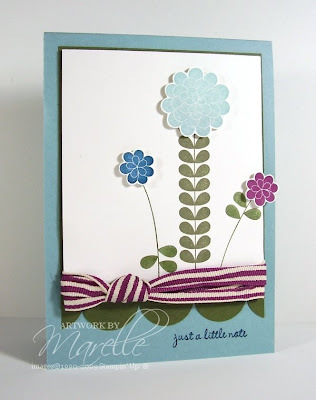 Using a sketch really streamlines the card-making process! The colours are Baja Breeze, Always Artichoke, Rich Razzleberry and Not Quite Navy. I like this card Marelle. I think it all ties in nicely. I really like this! I didn't think I liked this set, but seeing this card, I might like it now! :) I really enjoy reading your blog! Thanks so much for the inspiration! Marelle this is really pretty! 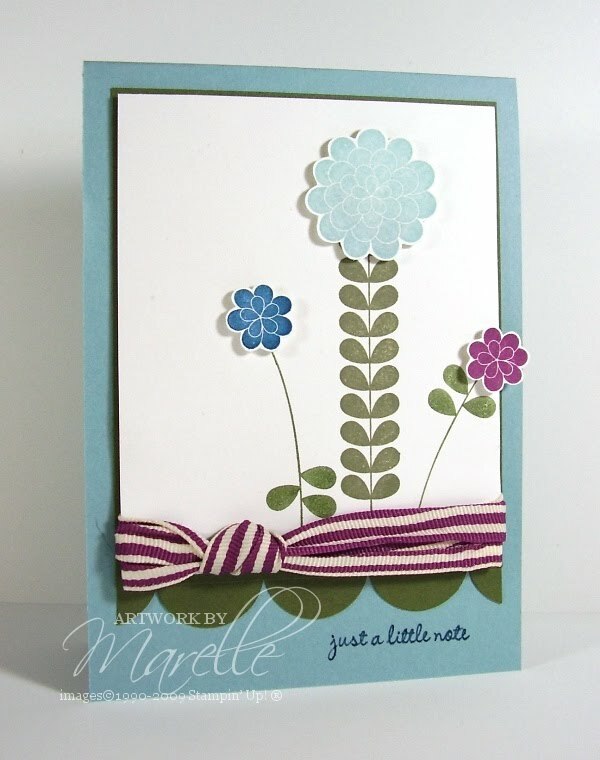 Just love the simplicity of it and the colours you've chosen are so complimentary to each other! Very pretty Marelle. I've only used 1 stamp in this set myself so far but I have seen some great things made with it.